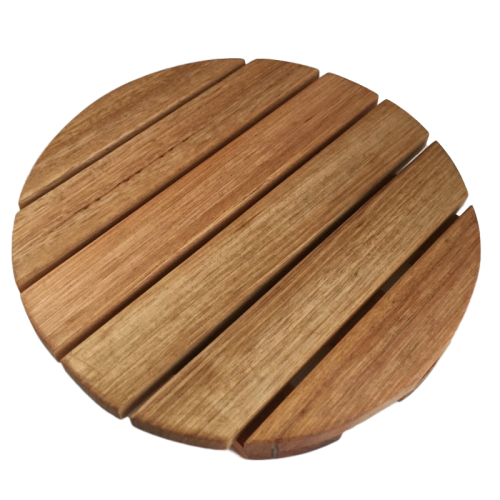 Handy timber trivet for the table made from Tasmanian Eucalypt more commonly known as Tas Oak. The Tasmanian Oak is an extremely versatile timber used in building homes along with furniture and small craft items. This trivet or pot stand is perfect for that hot casserole dish and attractive enough to leave as a centrepiece on the dining table. iA light coating of vegetable oil occasionally will keep it looking like new - and should it become stained in time just a light sand will suffice.